First, I'd like to share my big finish since last WIP Wednesday! 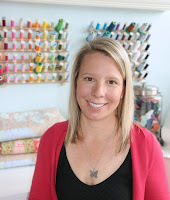 I posted on my guest post in January over at Freshly Pieced the beginnings of this quilt. And think it is fitting to share it today! 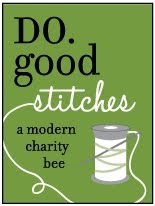 I've entered it to the Bloggers Quilt Festival in Wall Hangings (pssst #73 if you feel like voting). I really love all the pictures on the Stars and Stripes post and would share again. But I will resist. But if you like yumminess and details...go take a peek! I can prove that it is actually a wall hanging, because I hung it today. But will have to share later. My camera battery decided to go on strike at the very moment I cleaned up the boys' game room. I have some really dreary looking camera photos on my Instagram feed if you can't stand the suspense. In the meantime. 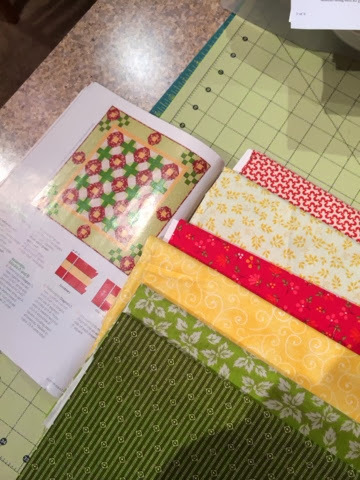 I've been taking a hard look at my project planner and am terrified that Christmas will come and my quilts won't be finished. I already feel myself settling on the ones I won't get done. The good news is that one top is on the longarm machine. And two have patterns with plans and fabric choices. Here is the latest one that I hashed out last night. My apologies to my Instagram peeps that got a glimpse into my indecisive head! I plan on skipping the border, but I think I am solid with these fabric pulls! P.S. Giveaway coming soon. I don't do them very often, but I think this one is going to be good! 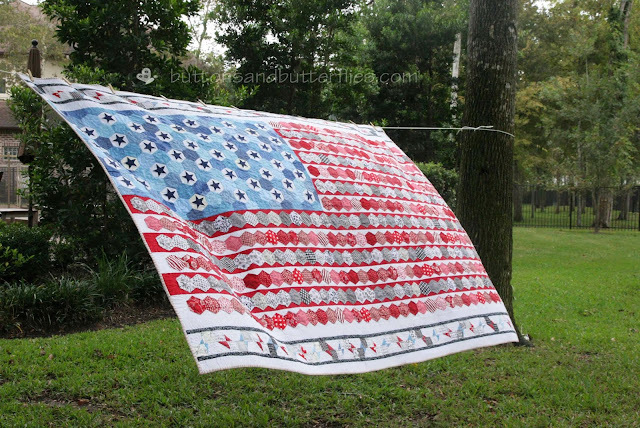 Wow - I bet a lot of work went into your Stars and stripes quilt. I like your Christmas fabric pull - nice and cheerful. Stunning stars and stripes! Good luck! Your Stars and Stripes quilt is so gorgeous! Ohh this turned out so gorgeous! I'm sure it makes a wonderful wall hanging. This is the best patriotic quilt I have ever seen! It is wonderful, I so enjoyed looking through all the pictures on your other post! Each detail is so well thought out! I'm in awe. Pinning! Love your flag!! It's stunning!